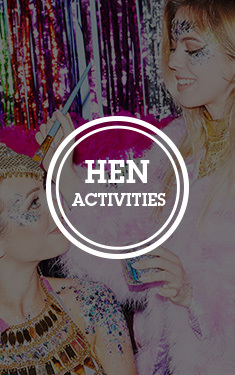 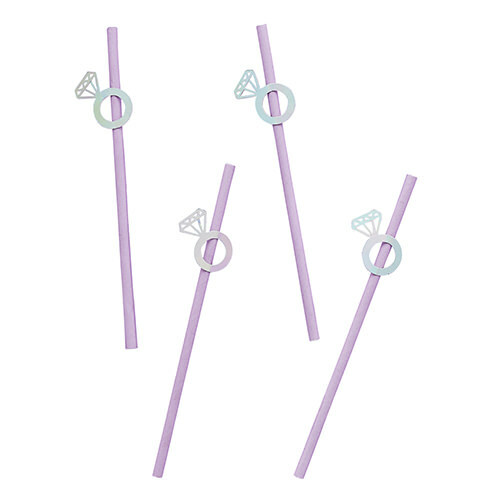 These beautiful purple paper straws are a fantastic addition to your hen party, they come complete with attached diamond ring shaped decorations and this pack of twenty is great value. 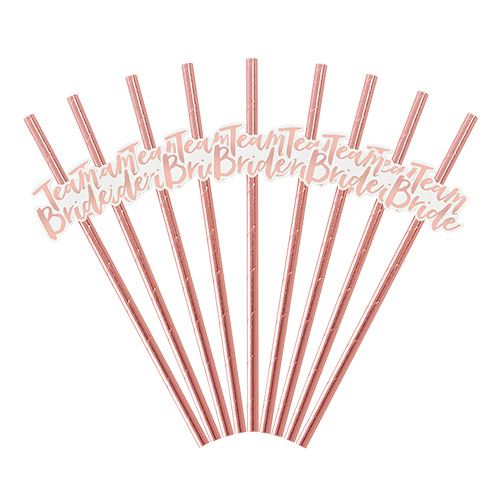 We've been pushing the idea of paper rather than plastic straws to manufacturers for a while now and they are starting to listen. 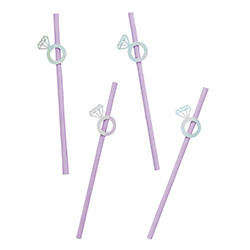 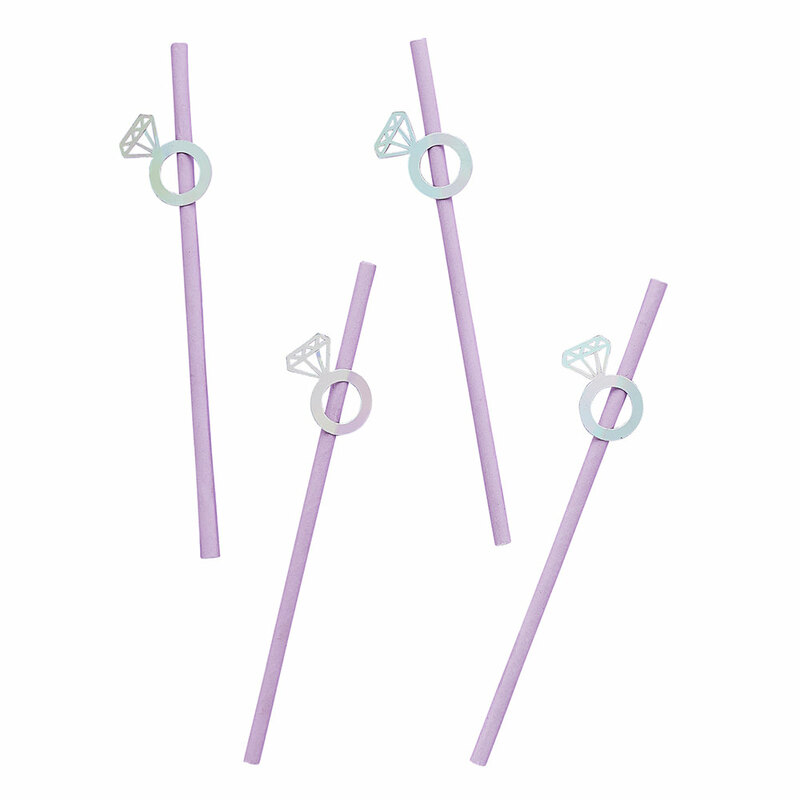 These straws are part of the Purple Bride Squad collection and as such you can get matching cups, bags and whole lot more.